There are two ways of entering the Colosseum: Either take a ticket at one of the rates below, or use a twin card including a visit to one or two monuments in the city and transportation. This is called the "Roma Pass". There are several tariffs to visit the Colosseum, it is quite classic, it depends on the age of the ticket holder. Better than the jungle of the schedules, the rates are simple. As for visits, the Colosseum (Colosseo) is paired with the Palatine (Palantino) and the Roman forum (foro romano), so you only have one ticket for these 3 elements of the city's heritage. They are anyway right next to each other. The reduced rate is granted to young adults who are members of the European Union and must be between the ages of 18 and 25. The ticket is free for anyone under the age of 18, as well as for everyone on the first Sunday of each month. 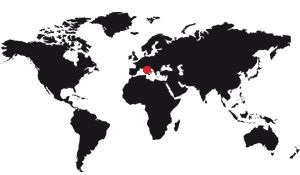 It is also free for certain professionals: Guides, interpreters, employees of the Ministry of Culture carrying out their professional activity, accompanying a school group of at least 10 students, students and professors in science, literature, arts, architecture (if their studies are in connection with the Colosseum), accredited journalists, etc. 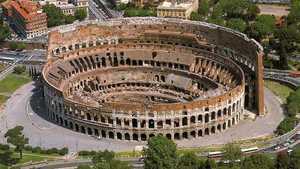 There is good news and bad news with the prices of the Colosseum. For example, it is not that expensive compared to other European monuments (the Tower of London is at 28.50 €, anyway). The main negative is the Internet reservation for 2 € extra: It does not push the visitor to book in advance, so there is a crowd at the ticket counter, on the spot. The 2 € fee is valid for each Internet transaction, so if you buy 4 tickets, you will pay only once. The Tower of London, to use this example, does the opposite: You pay the tax only if you take the tickets at the ticket office, and as a result, there is no waiting on the spot. It's still better. There are no group rates. If you are a group, you will not receive any discount. You just have a special entrance for groups, but that's it. And be careful, if at the last moment you are more than expected, the surplus people will have to buy their tickets at the ticket office, and go through the individual entry: In short, you can not enlarge your group at the last moment. ATTENTION: There are online booking sites that charge you taxes well in excess of € 2. Be vigilant and trust the official site. These cards include the entrance of a museum for the 48 hours, two for the 72 hours, access to metros, buses and trams of the city and offer discounts on the other museums that you would like to visit. The choice is wide, between archaeological, modern, contemporary or scientific museums. This card can be worth it if you do a lot of traveling and few visits, but it's not the business of the century either, if you compare it to the New York City Pass, for example, same thing ... better. If you are interested, go to the official website: www.romapass.it.